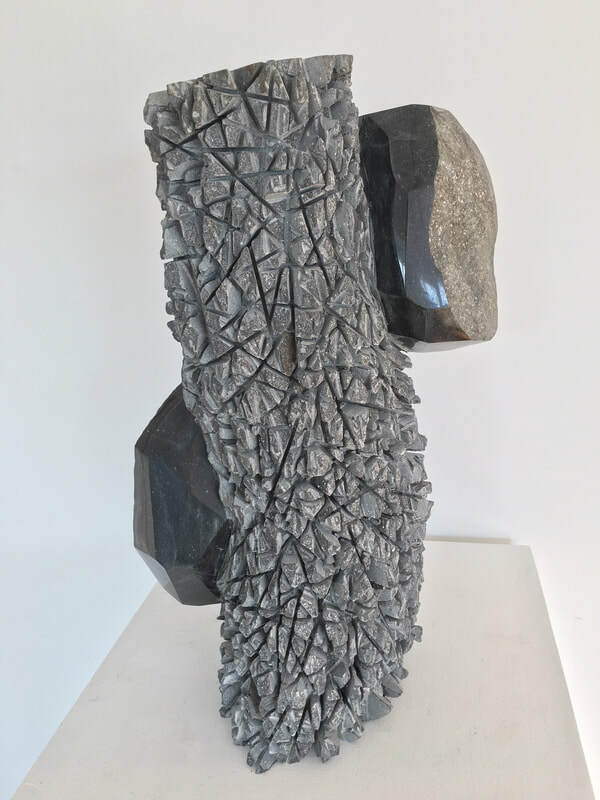 Mark is a lifelong student of the creative process, and loves introducing new artists to granite sculpting as much as he loves practicing his own work. 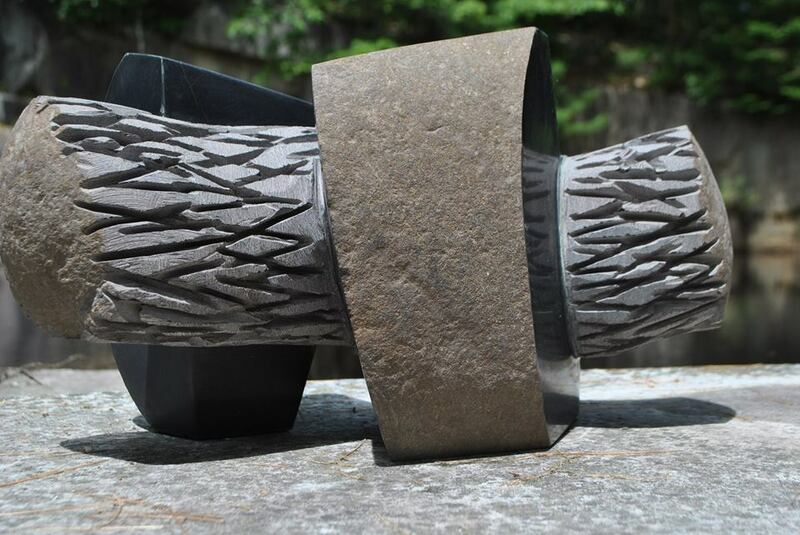 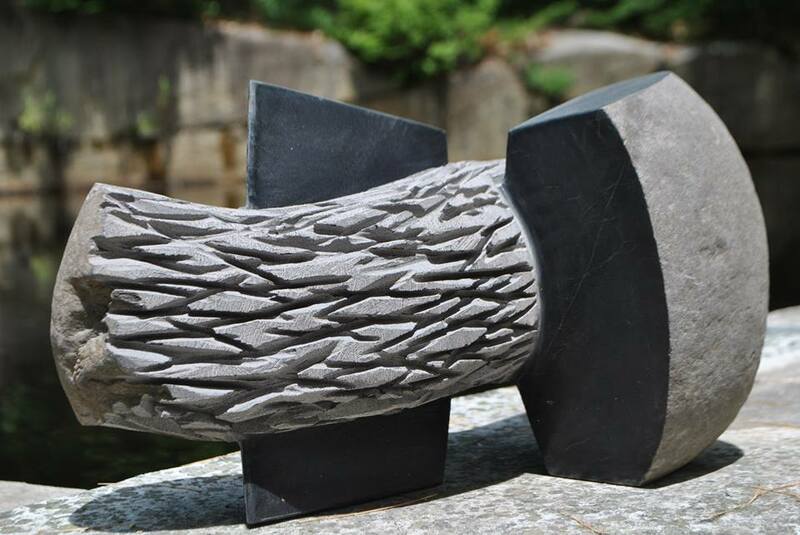 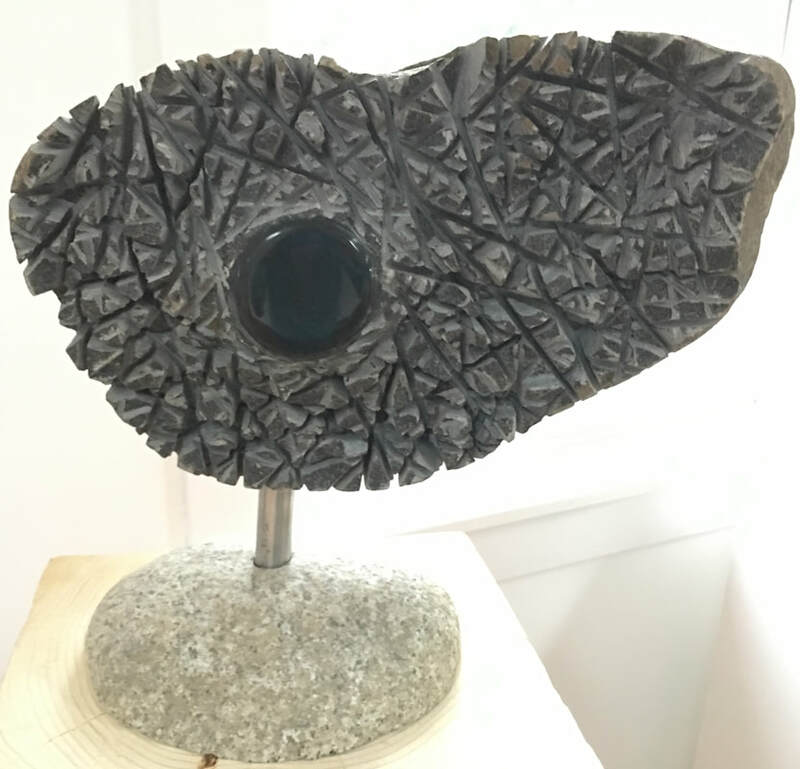 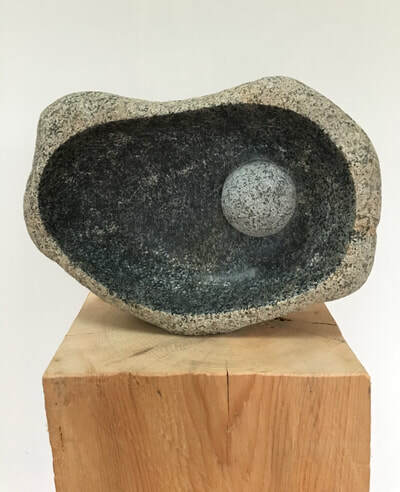 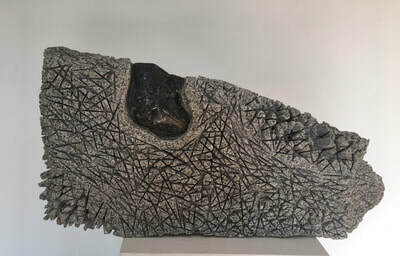 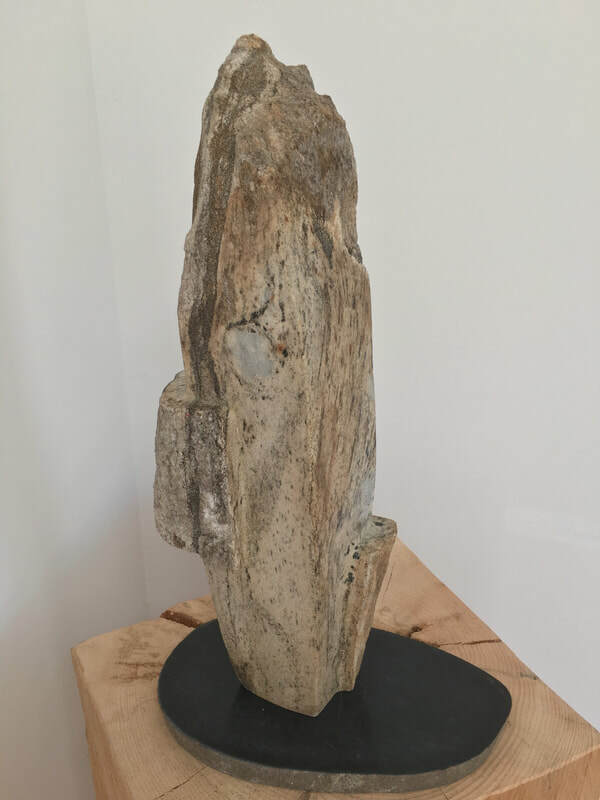 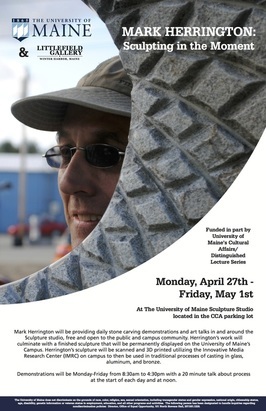 He is a self-taught stone artist: He has been a guest lecture at the University of Maine in Orono, being the first artist-in-residence in the Littlefield Gallery Artist-in-Residence program. 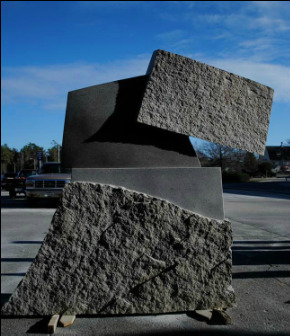 The sculpture he created, "Tec.ton.ic," is installed on the UMaine campus. 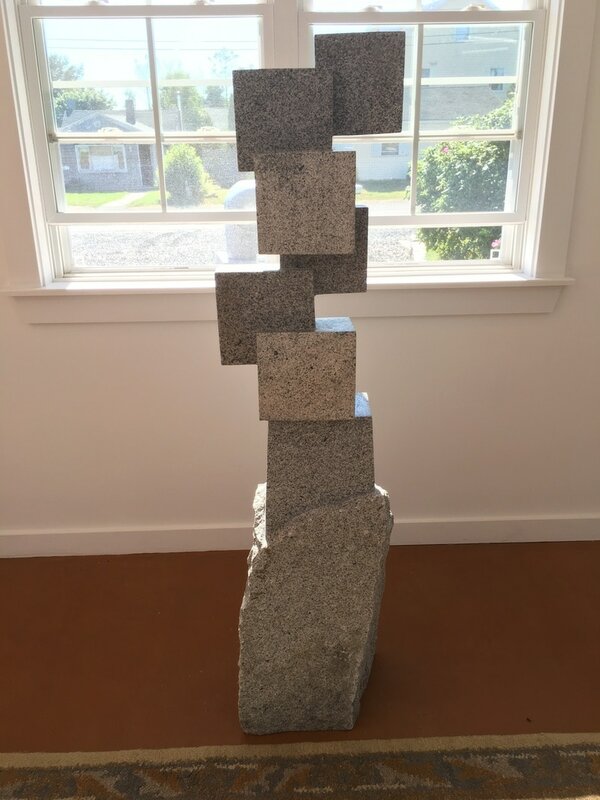 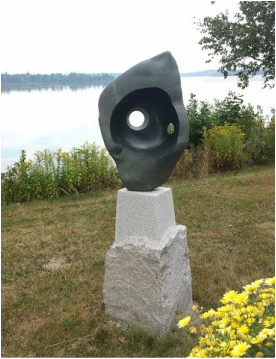 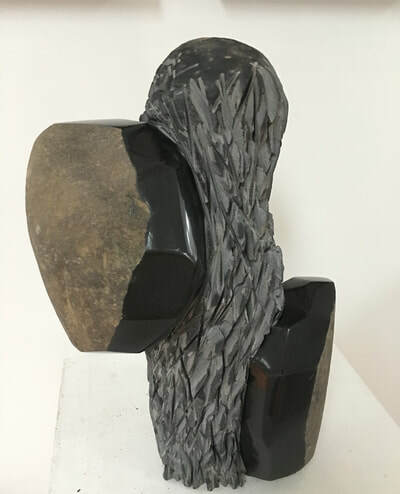 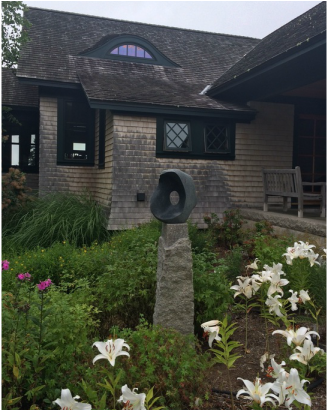 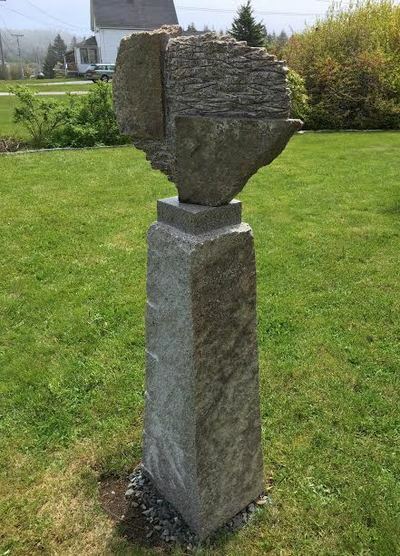 A second sculpture, "Inanna," is installed at the Buchanan Alumni Foundation. 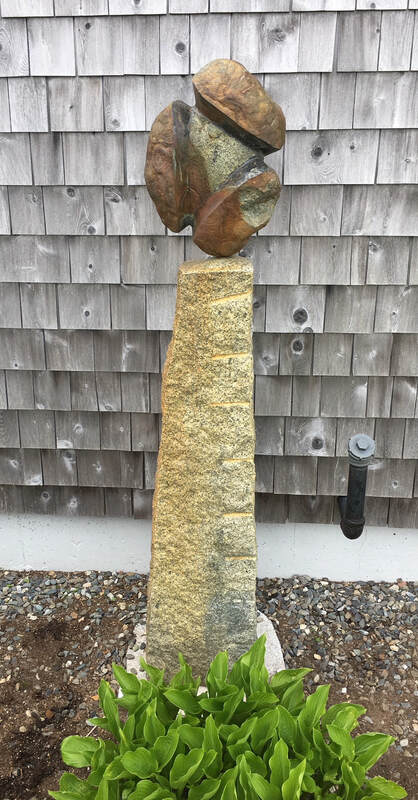 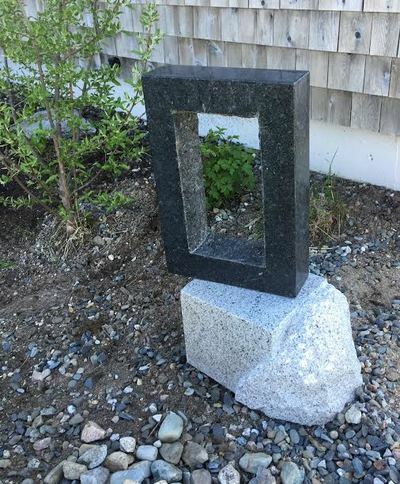 granite 13' x 4' x 9"
Strength and Patience in its new home on MDI. Celebrating Three Rectangles outside of Boston, inside! 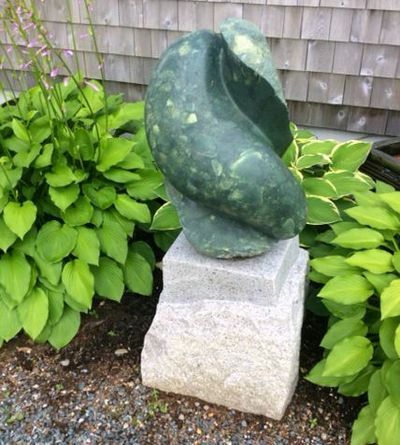 Waxing and Waning" at home on the edge of Frenchman Bay. Installing "Night Voices" at its new home on MDI. 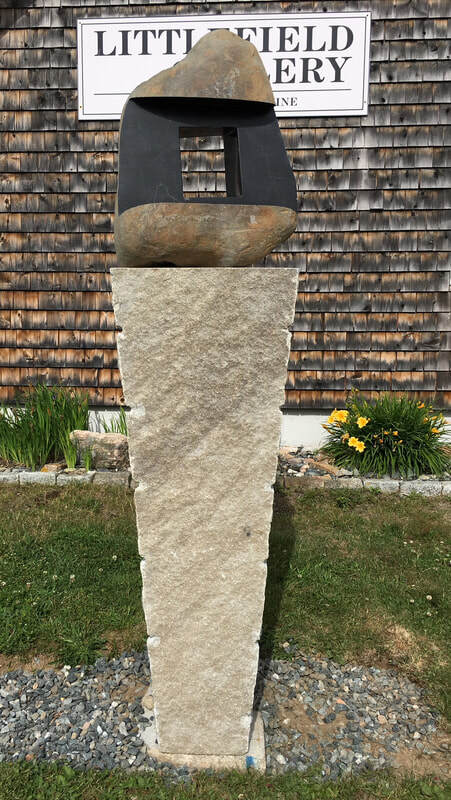 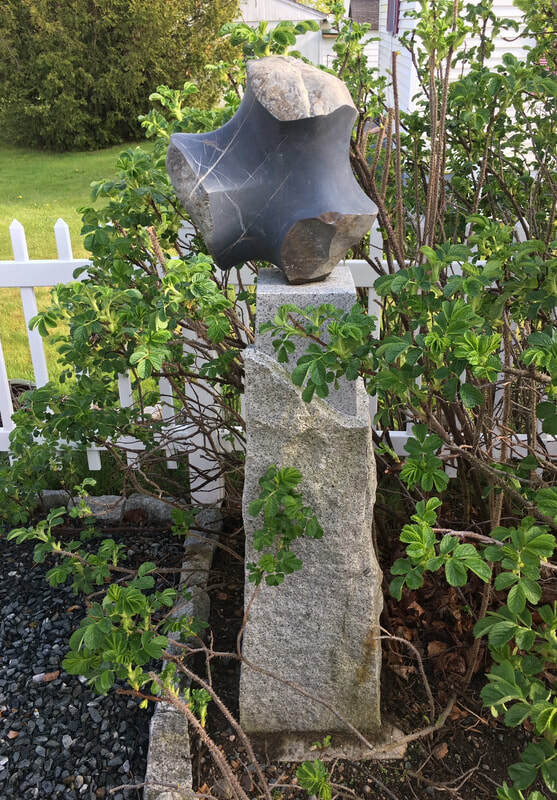 Completed piece,created during Mark's Littlefield Artist-in-Residence series, is now installed on the UMaine campus by the sculpture center, diagonally across from the Collins Center. Coryelle installed near Valley Forge, PA.
"Line Split" in its new home.